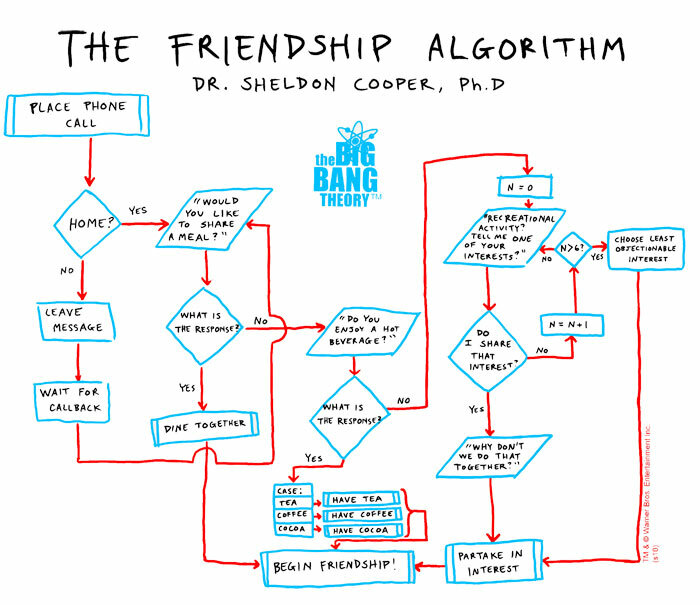 Recall that hilarious episode of The Big Bang Theory where Sheldon designed the friendship algorithm? Well, like much of what they do, the hilarity comes with its share of educational value. In fact, half of what makes the show so funny is the way they weave scientific fact into the story and nerd out on it! For those who actually get it, it’s doubly entertaining. In this case, Sheldon’s characteristic appraisal of his situation reflected something very real and relatable about algorithms. Essentially, they are step-by-step procedures designed to solve problems. While they pertain to calculation, data processing, and automated reasoning, the concept is something we are already intimately familiar with. Papa Zulu: First Round of Edits Done! That could also work for asking someone out.